Street Pride is a Fenland District Council initiative that encourages members of local communities to get together to improve the environment where they live. 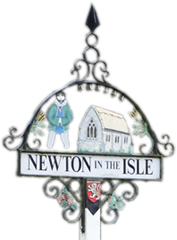 The Newton Street Pride group meets periodically throughout the year to remove litter from the roadside verges around the village. It's an enjoyable healthy activity for old and young alike and all equipment and protective clothing is provided. The group has big plans for the future, so look out for details of future events in The Bridge or the village newsletter and come and join us. Everybody is welcome and there's something for everyone to do. If you have ideas for suitable projects or would like further information, ring Sam Clark on 07887 485795 or - Click here - to send an e-mail.